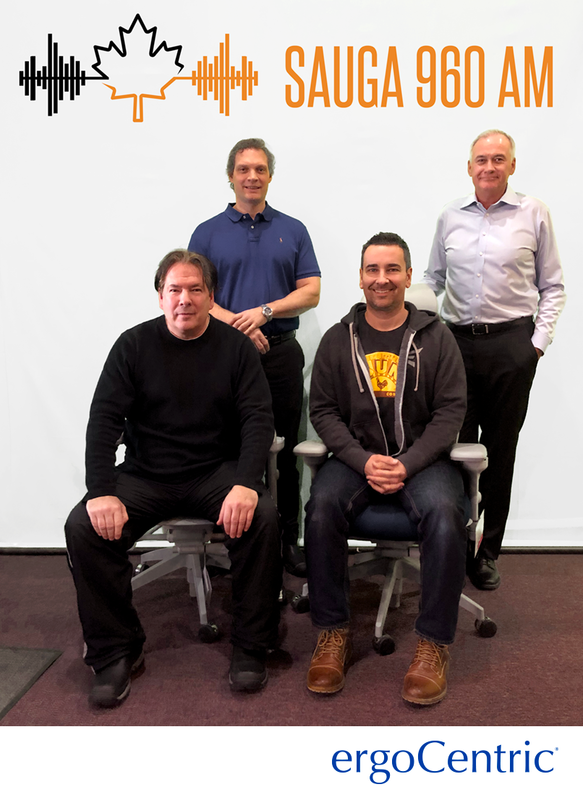 Ahead of Repetitive Strain Injury Awareness Day, Sauga 960 hosts Raw Mike Richards and David Bastl sat down with ergoCentric Founder Terry Cassaday and Canadian Certified Professional Ergonomist Andrew Reitzel to discuss the importance of ergonomically sound workstations and task chairs when it comes to avoiding and preventing musculoskeletal disorders. Don’t miss this informative (and fun!) interview.